Following a successful management career with Flight Centre in Brisbane, 2013 saw Matthew’s ‘farming blood’ call him back to Far North Queensland to manage his family’s newly purchased orchard, Blue Sky Produce. Although thoroughly enjoying the new challenge, Matthew quickly recognised critical on-farm challenges, particularly in the areas of labour supply and ineffective crop forecasting. Despite decade-old YouTube videos promising robotic fruit pickers, machine vision and autonomous tractors, Matthew looked out his window and over the neighbour’s fence in vain. Where were the robots? In 2016 Matthew applied for a Nuffield Farming Scholarship with a focus on robotics, automation and emerging technology in horticulture. 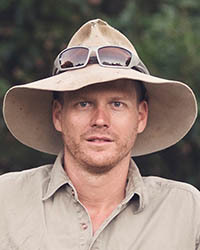 After two years of travelling through 14 countries interviewing world-leading AgTech entrepreneurs, venture capitalists, insurance executives, policy-makers and early adopter farmers, Matthew has managed to gain an insight into this unique, multi-faceted area and offers a pragmatic, optimistic vision for the future of the horticulture industry. Matthew will be addressing AgTech in horticulture: opportunities from a practitioner’s perspective on Tuesday in Session 8.